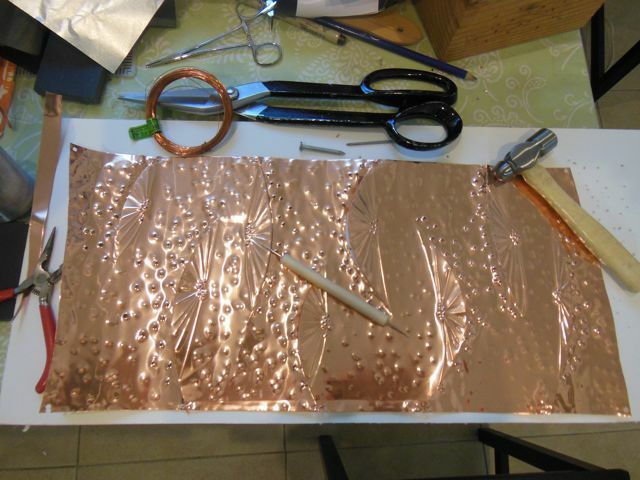 The beginning of making the copper lamps with hammer, nails, cutter and wire on a foam core board, and a stylus to make marks. 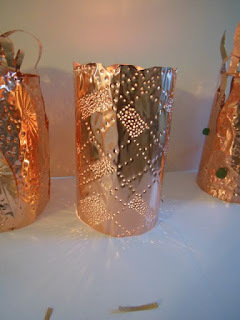 Under the supervision and instructions by Aiko Cuneo, I was able to make these. 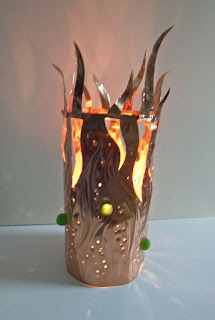 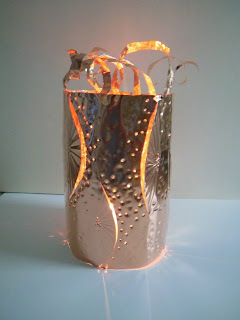 This with a led candle in the center. 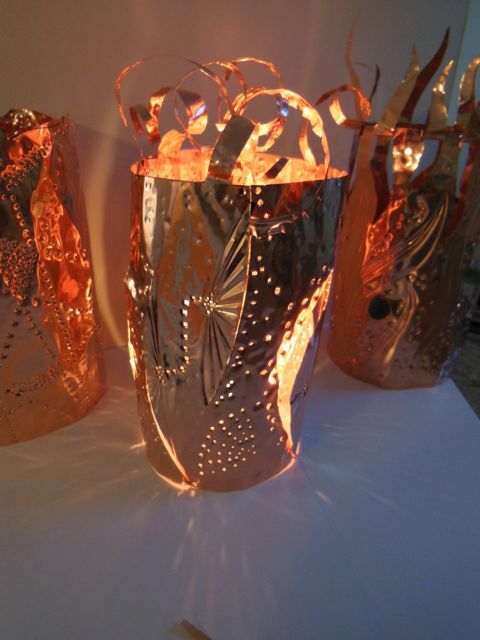 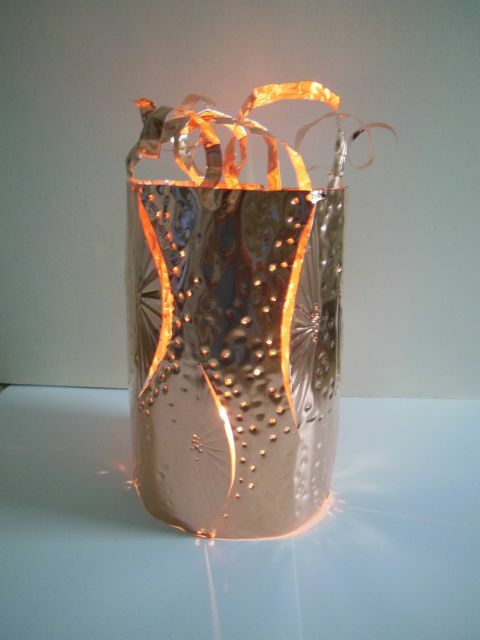 We used these lamps as centerpieces for the Ruth's Table fund raiser dinner. They were sold at the end of the evening.